SAN FRANCISCO — Attorney General Kamala D. Harris today announced a $1 million California Homeowner Bill of Rights implementation grant to The National Housing Law Project. The California Homeowner Bill of Rights (HBOR) is a set of landmark laws that extend key mortgage and foreclosure protections to California homeowners and borrowers. The laws, which took effect at the beginning of this year, restrict dual-track foreclosures, guarantee struggling homeowners a reliable point of contact at their lender, impose civil penalties on fraudulently signed mortgage documents and require loan servicers to document their right to foreclose. This grant will maximize consumer benefits from the HBOR, while minimizing abuses of the law by providing training to California consumer and housing attorneys from both private and non-profit firms. The National Housing Law Project will partner with Western Center on Law and Poverty, National Consumer Law Center and Tenants Together to implement this grant. Provide high-quality, on-site trainings and webinars to consumer and housing attorneys on how to maximize the HBOR’s protections. Train more than 800 lawyers. Provide support in cases that raise important legal issues or have potential for broad impact. Create a library of litigation materials to help attorneys maximize the HBOR’s benefits. Produce a report that analyzes the HBOR’s statewide impact and identifies compliance problems. Funds provided through this grant were secured by Attorney General Harris through the $18 billion National Mortgage Settlement. Established in 1968, The National Housing Law Project seeks to advance housing justice by advocating for affordable housing, litigating to uphold homeowners’ and tenants’ rights and offering technical assistance to legal aid attorneys who work with low-income families. The State Bar has partnered with the Attorney General’s Office to administer the grant and monitor compliance. The National Housing Law Project will provide quarterly financial and program reports to the State Bar and the Attorney General’s Office. “The rights and powers of trustees in nonjudicial foreclosure proceedings have long been regarded as strictly limited and defined by the contract of the parties and the statutes. The fact that a borrower is in arrears does not allow the trustee to circumvent the conditions precedent to foreclosure. Indeed, the conditions precedent in the deed of trust that govern the accrual of the trustee’s latent power to foreclose do not become relevant until the borrower has first breached the deed of trust in some way. Therefore, prohibiting the borrower who has breached from bringing an action to enforce the conditions precedent in a deed of trust would nullify such conditions. The mere fact of the borrower’s breach alone would become, de facto, the only condition precedent to foreclosure. Lenders require deeds of trust precisely because they contemplate the possibility of non-payment, and the deed of trust is a contract in which the parties have agreed that material breach of the note by nonpayment will not deprive borrowers of their rights to enforce conditions precedent.” Pfeifer, Id. “A full tender must be made to set aside a foreclosure sale, based on equitable principles. Courts, however, have not required tender when the lender has not yet foreclosed and has allegedly violated laws related to avoiding the necessity for a foreclosure.” Pfeifer, Id. “Courts have recognized various exceptions to the tender rule, including an exception based on an allegation that a foreclosure sale is void.” Pfeifer, Id. Judgment dismissing plaintiff’s complaint alleging defendants lacked authority to foreclose on her property is reversed as to the cause of action for wrongful foreclosure, where: 1) judicial notice could not be taken of defendants’ compliance with Civil Code section 2923.5; and 2) plaintiff’s allegations that defendants did not comply with the statute were sufficient to state a cause of action for wrongful foreclosure. Strip 2nd Trust Deeds in a 7 ?? In a recent earth-shattering decision by the United States Court of Appeals for the 11th Circuit, which includes Georgia and Florida, the Circuit Court ruled on May 11, 2012 that it is possible for a Chapter 7 Debtor to strip off a second mortgage on their home pursuant to the Bankruptcy Code. Prior to this decision, a Debtor was only allowed to strip off a second mortgage in a Chapter 13 filing. To more fully explain the significance of this ruling, I must first give you some background on what it means to strip off a mortgage and the difference between a Chapter 7 and a Chapter 13 filing. Prior to this decision, a Debtor was only allowed to strip off a second mortgage in a Chapter 13 case. In order to strip off a second mortgage, the Debtor is required to show that the value of the house on her primary home is less than the value of the first mortgage. In the case where the first mortgage exceeds the value of the property, the second mortgage is thereby rendered totally unsecured. Traditionally, in a Chapter 13, if the Debtors desired to keep their home, they would be able to make payments of the first mortgage and stop making payments on the second as the second was totally unsecured and would be treated like other unsecured creditors such as a credit card. Upon completion of a Debtor’s Chapter 13 payments over a period from anywhere from 36 to 60 months, the Discharge would render the second mortgage removed as a lien of record, the Debtor would be relieved from that obligation, and the bank would be left to filing a Proof of Claim and receiving its pro rata share of distribution to unsecured creditors. The reason Debtors were not allowed to strip down a second mortgage in a Chapter 7 case, was based upon the United States Supreme Court’s decision in Dewsnup v. Timm, 112 S.Ct. 773 (1992), in which the Supreme Court ruled that a Chapter 7 Debtor could not “strip down” a partially secured lien under the Bankruptcy Code. However, in a decision prior to the Supreme Court’s decision, the 11th Circuit ruled in Felendore v. United States Small Business Administration, 862 F 2d. 1537 (11th Cir. 1989), that the claim was wholly unsecured, it was avoidable under the Bankruptcy Code. In a very narrow and precise interpretation of the Supreme Court’s decision in Dewsnup, the 11th Circuit Court in its recent decision of In re: Lorraine McNeal, concluded that since the Supreme Court’s decision in Dewsnup did not specifically address the issue where a second mortgage was wholly unsecured, its ruling was not controlling on it and that its decision in Felendore was still the binding law in the 11th Circuit. This is a great decision for potential Chapter 7 Debtors in the future, since it will allow them the opportunity to strip off a second mortgage without having to go through the repayment process of anywhere from 36 to 60 months in a Chapter 13. Under a Chapter 7, a Debtor may receive a Discharge in as quickly as four to six months from the date of filing. This will certainly open up additional opportunities for individual to keep their homes and force second mortgage holders to be more creative in attempting to be paid prior to a bankruptcy filing. This may allow more underwater homeowners to save their homes. When I started writing about legal defenses to foreclosures that appeared patently fraudulent to me, I thought it might only take a few months for things to catch on. About the timing I have been consistently wrong. About the substance I have been consistently right. Here again, the party seeking foreclosure not only failed in its current effort to do so, but was ordered to pay $25,000 within 7 days for forcing the homeowner’s attorney to fight tooth and nail for items that were or should have been at their fingertips, they had no reason to withhold, and should have been anxious to supply if the foreclosure was real. The only potential error I see in the homeowner’s case is that there appears to be an admission that Indy Mac was indeed the party who was the source of the loan — a fact which is nearly universally presumed and virtually always wrong in today’s foreclosures. Not knowing the actual facts of the case I can only speculate that this was an oversight, but it is possible that it wasn’t an oversight and that Indy Mac did in fact make the loan, booked it as a loan receivable, and then sold it into the secondary market for securitization. Dates DO Matter: If the authorization to sign something is received after the signature is executed it isn’t any good. Lying about it and then fabricating documents to cover up the first lie are grounds for sanctions. Allegations of holder status are no substitute for facts and evidence. The supposed right to request it is not the same as holding, possessing or owning the note. 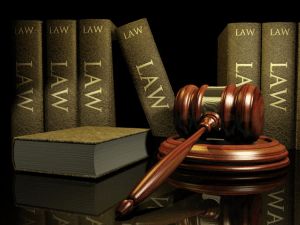 Execution and recording of substitution of trustee, notice of default, notice of sale are all void if the party stated as the holder is not the holder. Ownership counts, which means that in order to submit a credit bid at a foreclosure action, the books and records of all the relevant parties must be open to inspection and review to determine what balance, if any, exists, on the records of the owner of the debt — i.e., the party who would actually lose money if the loan was not paid, and the amount of the principal and accrued interest due, if any, after deductions for all receipts. Agency either exists or it doesn’t. And the paramount element of agency is control by the principal of the agent. There is, however, contractual obligations that come into play here. So if the investment bank received payments to mitigate damages on loans it either did so as agent for the investor or because they were contractually bound to do so as a vendor thus reducing the balance due on the bond. Either way, the balance due is reduced as to that creditor. It might be shifted to the party who paid who in turn might have a right of contribution unless they waived that right (which the insurance companies and CDS counterparts did in fact waive), but either way the new debt is no secured unless there was a purchase of the loan. Rules of Civil Procedure do matter and are “not optional.” If discovery requests, qualified written requests, debt validation letters are sent, answers are expected and due. The fact that the QWR is long does not mean it is invalid. Damages are possible, but you need to plead and prove them and that pretty much goes to whether these parties ever had any right to collect any money or enforce any note or any debt or enforce any mortgage against the homeowner. If the answer is yes, that if they get their act together, they can foreclose, there will likely be no damages. If the answer is no, which more likely than not is the case in current foreclosures, then damages properly pleaded and proven are easily sustained. Discovery is not a toy. The answer or the production is due. Hearsay is inadmissible and the business records exception, as stated by dozens of courts before this one, where the witness or declarant testified for “defendants chose to offer up what can only be described as a “Rule 30(b)(6) declarant” who regurgitated information provided by other sources” then we are taking hearsay and turning it into evidence without any personal knowledge or testing of the truth of the matter asserted. Judges are not stupid. They know a lie when they hear it. But what happens after that depends upon the trial experience and knowledge of the lawyer. Don’t expect the Judge to go into orbit and give you everything just because he found that the other side lied. You still have a case to prove. New UCL "unfair" prong opinion: West v. JPMorgan Chase Bank, N.A. Slip op. at 28. The Court held that the plaintiff’s complaint adequately alleged that the defendant "engaged in unfair business practices under any of the three definitions," and that the trial court had improperly sustained the defendant’s demurrer to the UCL cause of action. Id. at 29.